Pierre-Auguste Renoir (US: /rɛnˈwɑr/, UK: /ˈrɛnwɑr/, French: [pjɛʁ ogyst ʁənwaʁ]; 1841–1919) was a French artist who was a leading painter in the development of the Impressionist style. 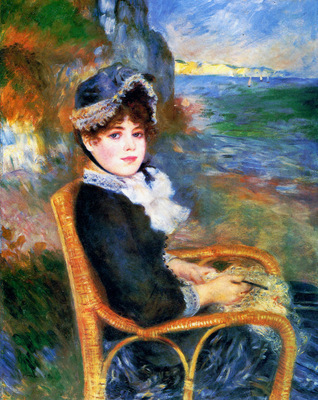 As a celebrator of beauty, and especially feminine sensuality, it has been said that "Renoir is the final representative of a tradition which runs directly from Rubens to Watteau." Pierre-Auguste was the father of actor Pierre Renoir and filmmaker Jean Renoir.